Custom map of the Ripley and Mill Creek Valley Railroad/ B&O Railroad Millwood to Ripley Branch depicting the small towns and hamlets which the railroad. ​There are rail lines that spark the interest in one form or another but the B&O Ripley Branch that ran from Millwood to Ripley goes beyond simply being a casual one. 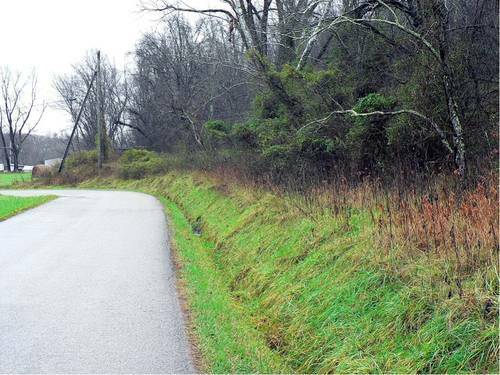 With family roots entrenched deep in Jackson County, this small line was a personal one as well. For family tree branches, Robie from the Ripley and Evans area, along with Hannum on my mother’s side at Millwood and Mt. Alto, this line was a pipeline in a simpler world. 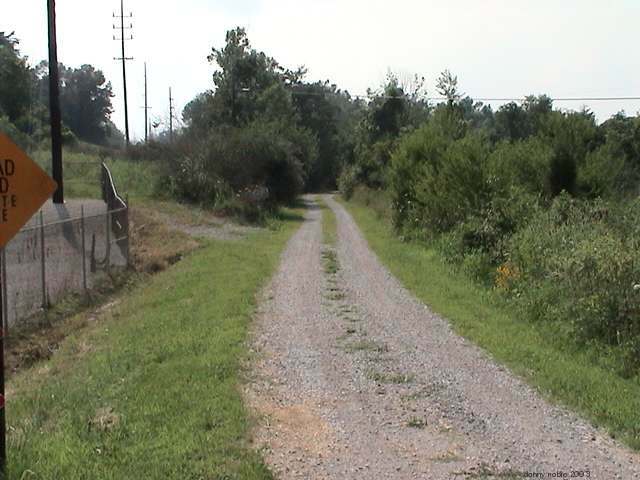 Before the proliferation of automobiles and the paving of roads, this small rail line was the gateway to Ripley for local passengers and commerce as well as a connection to the outside world of Wheeling and Huntington or beyond. Like numerous area residents of that bygone era, both my parents and grandparents rode many a train beside the creek ridges and through the meadows along Mill Creek. ​Researching the history of this rail line is difficult. The track has been gone for many years and the right of way has been altered or has outright disappeared at various locations. 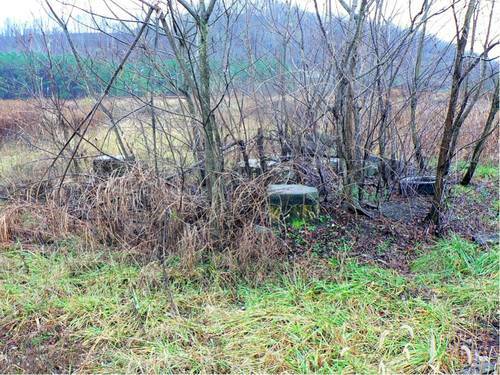 There is sporadic remaining evidence of the railroad's existence and to say there is scant recorded history would be an understatement. Finally, the passing of the years has reduced the number of individuals who could recite firsthand accounts of this railroad in operation. I have knowledge shared by my father about his recollections of operations along the line but little else. Period photographs are extremely rare although included will be a few archival images I have been graciously permitted to use along with contemporary ones of my own. Unfortunately, during my recent quest of taking photos, the weather was uncooperative resulting in lesser quality images and there are areas I did not visit such as the Cow Run region being most noteworthy. There are also sections along the right of way that are virtually inaccessible due to heavy brush growth or that would incite trespassing. My intent is to revisit the area and attempt to fill in the blanks so to speak that will not be covered in this initial posting of the work. I hope to obtain permission from landowners in the future to grant me access to photograph the right of way in areas thus far not done to enhance the content of this work. To my knowledge, there has been no previous dedicated documentation of the Ripley Branch. If one does or did exist, it has been lost to time. If any reader has any knowledge of interested individuals who might possess photographs or accounts of this line to share here, I would be most grateful. Any future information or images can be spliced into this piece with all due credits. While in no shape or form is this a definitive account here, it is at least a meager attempt to shed insight on this piece of Jackson County and family history. Moreover, it is my sincere intent to be as accurate as possible with the material posted here and if the reader discovers an error or can better clarify any information, please contact me by the Visitor Page on this website. This humble effort is dedicated to the memory of my parents, S.E. and Mildred Robie. 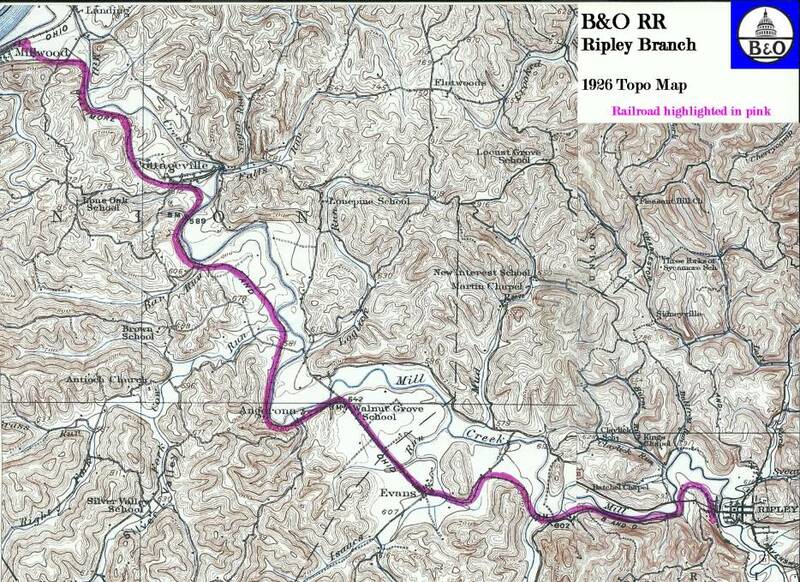 Originally the Ripley and Mill Creek Valley, the 12.3 mile line ultimately was absorbed into the Baltimore and Ohio Railroad in 1901. 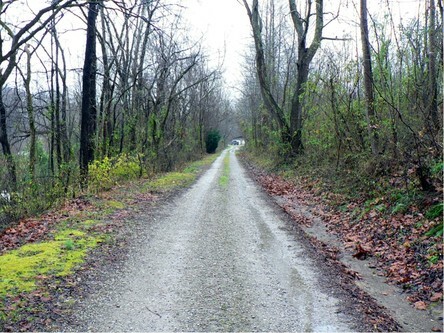 The route paralleled the Mill Creek basin between Millwood and Ripley. The late 19th century spawned ambitious visionaries that knew a railroad was instrumental for developing either wealth or community commerce. 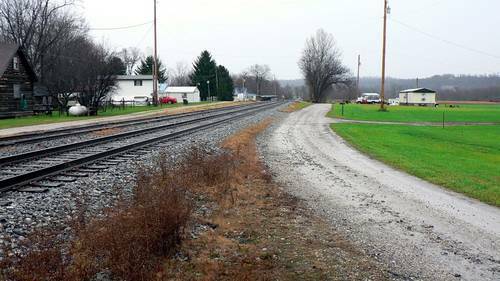 It is no coincidence that in seeking to expand Ripley and Jackson County with improved access that a number of such citizens looked to the building of a railroad to accomplish this. 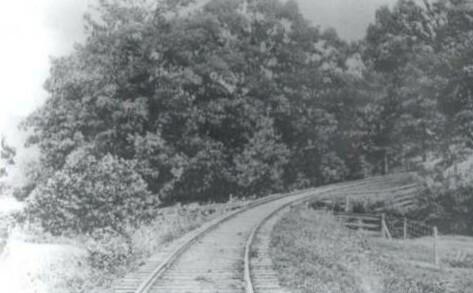 The Ohio River Railroad between Wheeling and Kenova was under construction during the mid 1880s and once completed to Millwood, a connecting line to Ripley was a feasible and practical undertaking. During 1884, W.T Greer, John Greer, Kenna Hood, and Jim Poling along with other citizens of Jackson County formed a stock company and the County Court donated a $25,000 bond to the building of a railroad. 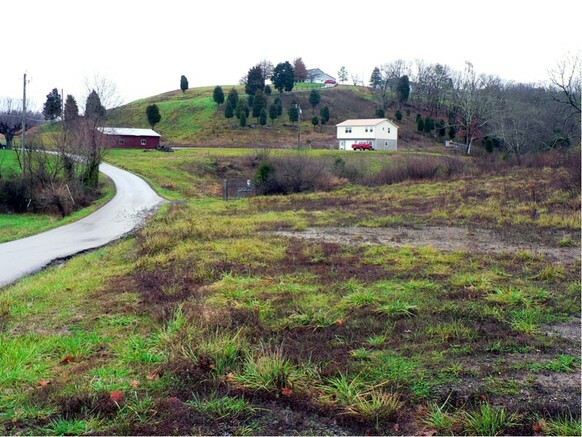 A charter was subsequently granted under the name of Ripley and Mill Creek Valley of which the railroad would be known. 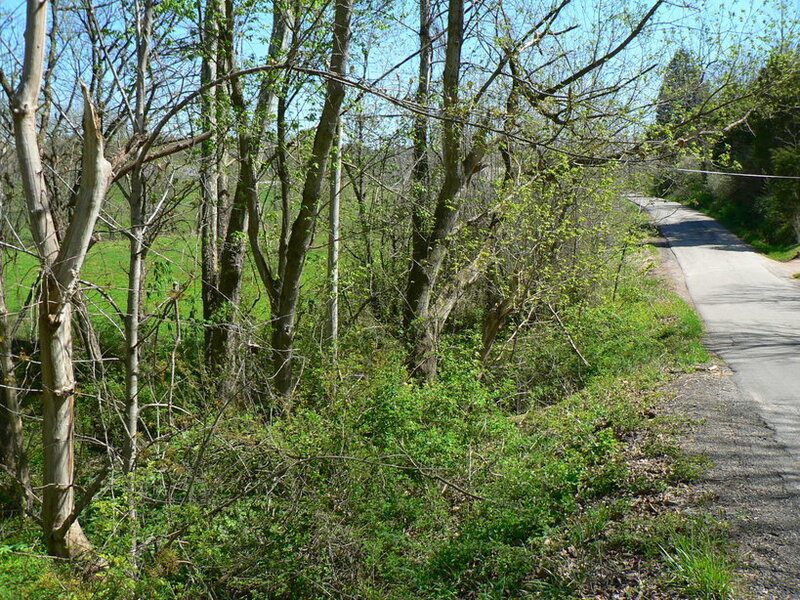 In early 1885, the right of way was acquired for the building of a 12.3 mile line connecting Millwood to Ripley and serving the small communities between. In a gesture that would be unheard of today, virtually all the necessary right of way tract was donated by land owners along the route owning to the importance and enthusiasm of its construction. Despite its short length, the R&MCV presented challenges during construction. This was an era when strenuous manual labor was the method of building a railroad. Horses and oxen were used to grade the right of way along with manpower for the actual track laying. Throughout the route, thirteen trestles were constructed averaging one per mile and these varied in length and height. Tight curvatures were common along the route with the worst at twenty degrees located at Cushings. The only appreciable tangent was the straight shot through Evans which was a respite for Millwood bound trains making a run for the climb at Angerona, the steepest of the gradients the line traversed. 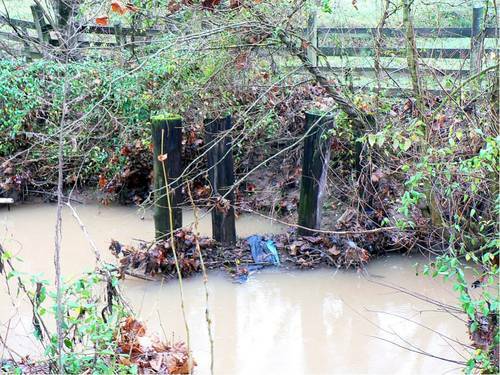 Also, a careful study of the right of way will reveal that although the route roughly paralleled Mill Creek in its entirety, construction avoided its vulnerable flood plain where possible. The importance of the railroad to Ripley in its early years is demonstrated on this 1904 timetable. Three scheduled passenger trains traversed the 13 mile with a likewise number returning to Millwood. A rare piece of memorabilia. Original Ripley and Mill Creek Valley stock certificate for $500 paid towards twenty shares dated November 2, 1887. My gratitude to Rhod Mills Rails'N'Relics for the scan and use of this image. 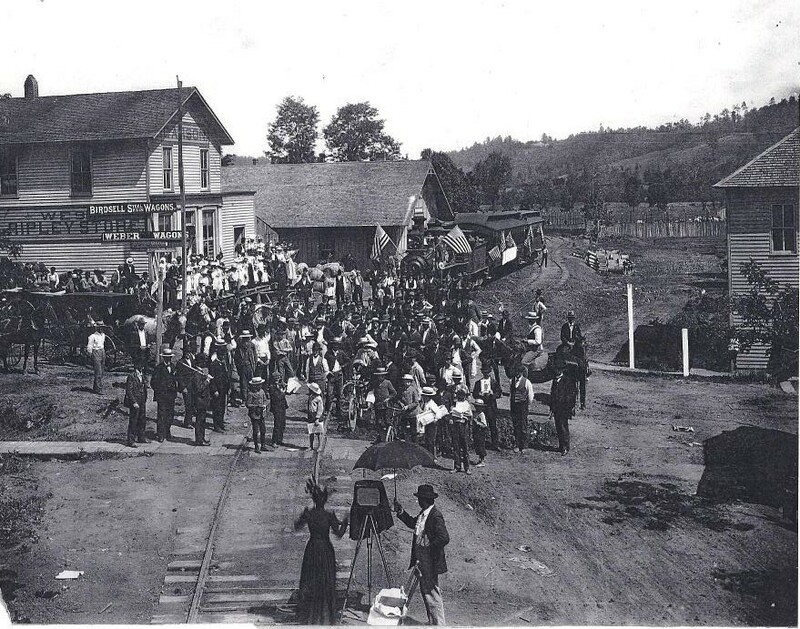 Ripley was a scene of great fanfare in September 1888 when the first train decked with American flags arrived with area dignitaries. Local citizens flocked to the Ripley depot in celebration of this achievement and this event was captured for posterity by a local photographer. 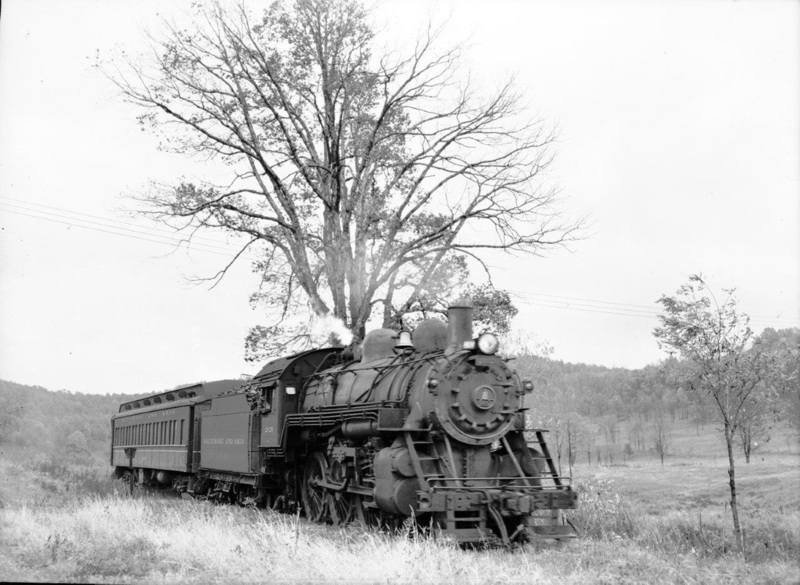 The Ripley and Mill Creek Valley lasted in name for several years until it fell under control of the Baltimore and Ohio (B&O) Railroad in 1901. 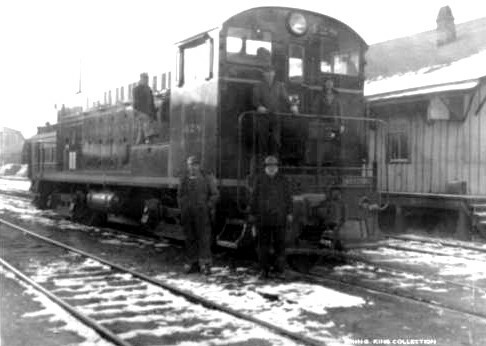 The B&O took outright ownership in 1912. For nearly seventy-five years, this line fulfilled its purpose providing transportation in an area yet undeveloped with good roads and unpopulated by private and commercial vehicles. Ripley merchants in addition to those at Evans, Cottageville, and Millwood could ship and receive goods by virtue of connection with the vast American rail network. Passengers rode the line for local or connecting longer distance travel. But the backbone of its existence was agricultural products and livestock. Ripley was a large market and its stockyard shipped livestock by rail to large cities most noteworthy of which was Cincinnati. During the peak of livestock shipping seasons, dedicated trains ran from Ripley for this purpose. The heyday of the Ripley Branch, like many other branch lines in the United States, was the period between the World Wars. The World War I era was the peak of rail expansion in America and the railroad was the undisputed means of travel and transport and this applied no less to the Mill Creek valley. Change gradually began to manifest itself ever so subtly as increasing numbers of cars and trucks were appearing on an improving highway system. 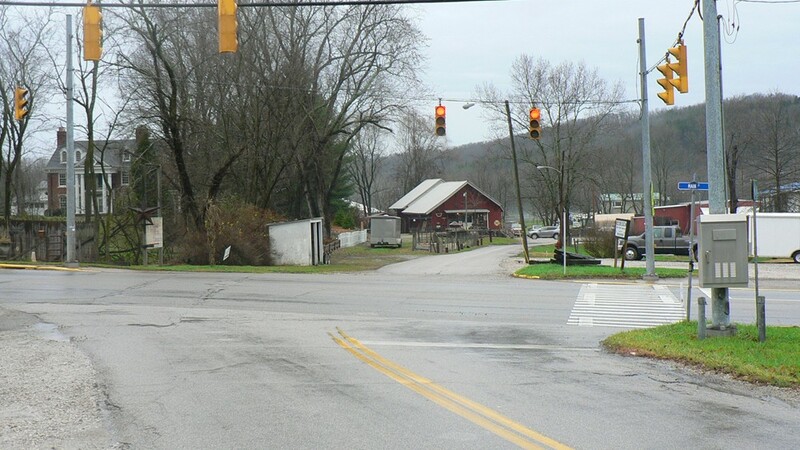 By the end of World War II, the Ripley Branch was facing decline yet since it existed in a predominately rural area, managed to survive longer than a number of comparable smaller lines. 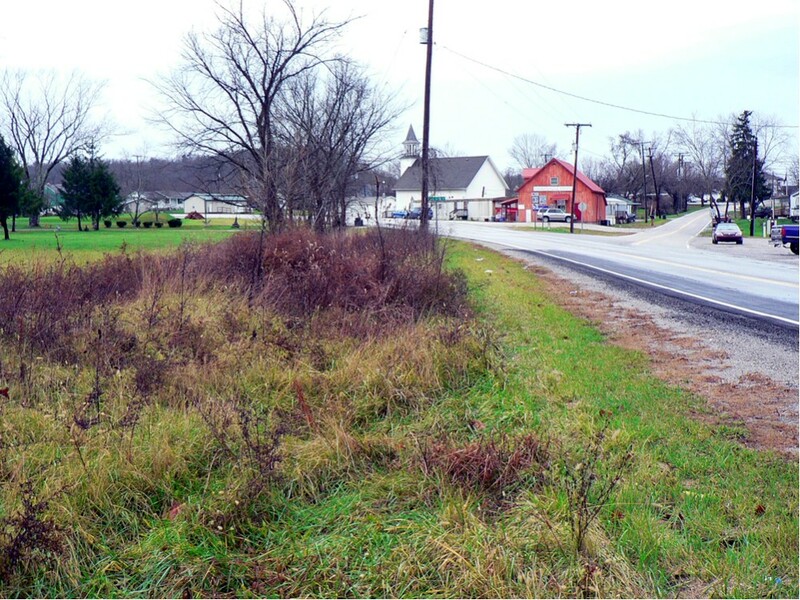 A significant commercial change in the post war era was a transformation from agricultural to industrial business in the Ohio Valley and outlying regions. But with the demise of livestock shipping by rail along with the exodus of other shippers and passengers from rail, the line faced imminent doom within several years. B&O formally applied with the Interstate Commerce Commission (ICC) for abandonment on April 12, 1963. The line ceased operation in May 1963 and the track was removed a few years later. I have read 1968 as an exact referenced year of when it was completed and do have memories as a young child of seeing rail and ties stacked alongside Route 2 at Millwood that would correspond with this time period. If any reader can provide specifics on this----or any other matter--please contact me and I will update this information. On one more note, I regret the inability to contact noted rail photographer Richard J. Cook although four images appear credited to him. * This gentleman photographed both the Ripley and Spencer Branches during the early 1950s and his work is a valuable addition to this piece. His images appear in various books about the B&O; in fact, the referenced byline by Bob Withers in TRAINS magazine (see closing credits below) contains several of Mr. Cook's images. 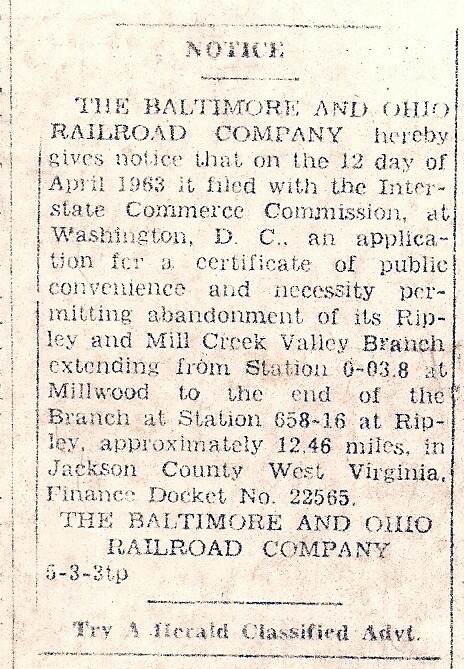 April 1963 newspaper notice to the public by the Baltimore and Ohio Railroad that it has filed for abandonment of the Ripley Branch. Courtesy Jackson County Historical Society. ​My apologies to the casual reader with only a general interest in either railroad or Jackson County history who may not be concerned with specifics such as railroad operations or locomotives. Included in this section will be such details that hopefully will satisfy any readers that do possess these specific interests. 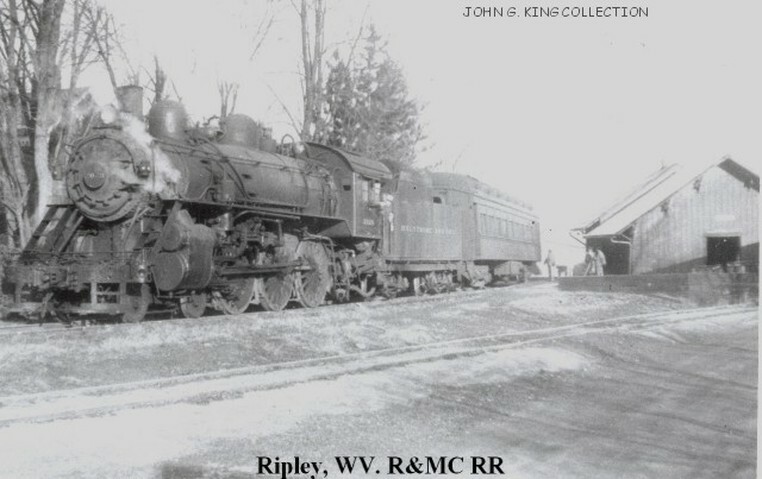 At its initial inception, the Ripley and Mill Creek Valley operated the 4-4-0 “American” type locomotives. 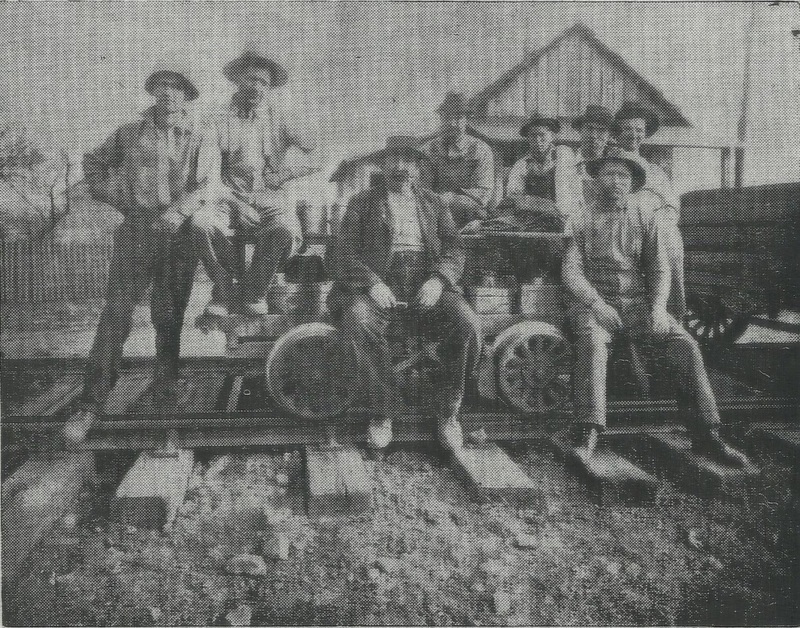 Within a few years after the completion of the R&MCV in 1888, the Ohio River Railroad began providing both crews and motive power to operate the route. This practice continued once both roads were absorbed by the B&O. ​Because of the characteristics of the line due to tight curvatures and light weight rail, only small type locomotives such as 4-4-0s and the 4-4-2 “Atlantics” could operate efficiently with the clearances of track. The turntable used to turn locomotives at Ripley restricted the size of motive power also. Freight volumes adequately suited for this power and typically created no operational drawbacks. If additional power was needed as in the case of heavier livestock trains, another locomotive was added on the rear as a helper. Track speed on the line was generally 20 MPH due to curves but my father witnessed trains exceeding this speed on the straight track at Evans heading west. He noted that the train would increase speed for the forthcoming grade at Angerona. 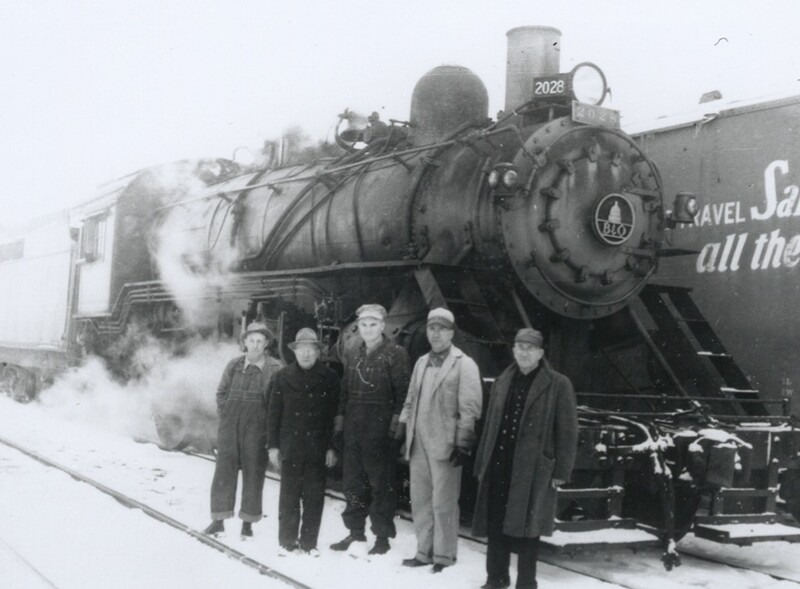 ​As the size of steam locomotives increased on main line railroads, older and smaller power such as 4-6-0 “Ten-Wheelers” were demoted from premium service in later years and migrated to secondary service such as branch line operation. 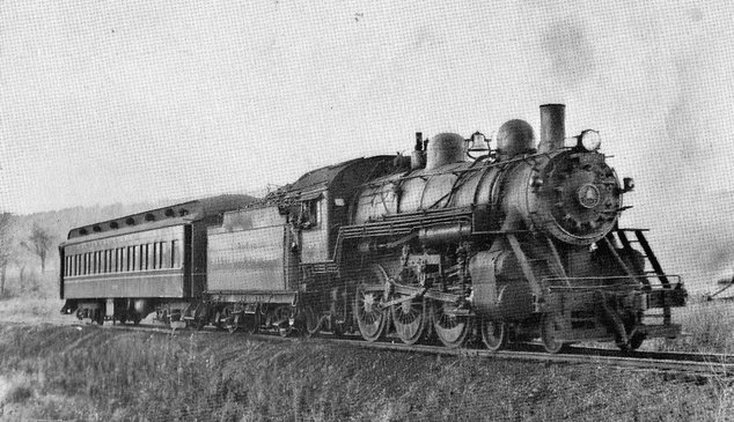 Two classes of 4-6-0s were notable in use along the Ohio River line, the Ripley Branch, and the Ravenswood, Spencer, and Glenville (RS&G) Branch. 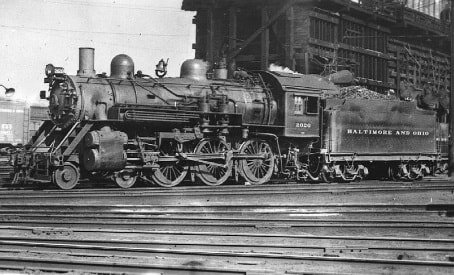 These were the B&O class B-8 and the later superior B-18. But even the use of Ten-Wheelers along the Ohio River line and connecting branches was a unique anomaly. These locomotives remained in service longer on this route because of the outdated weight restricting bridge across the Kanawha River at Point Pleasant. It was not until 1947 that this bridge was replaced with a sturdier truss structure enabling the use of heavier 2-8-2 “Mikados” and 4-6-2 “Pacifics”. Despite the elimination of this bottleneck, the remaining 4-6-0s continued to operate exclusively on both the Ripley and Spencer Branches in yeoman service until history recorded that December 16, 1953 ended an era as the last steam locomotive led train departed Ripley. The hollows and meadows along the Mill Creek valley would echo with the puffing of steam and the shrill of a whistle no more. The following day witnessed the appearance of the first diesel locomotive in Ripley. Although efficient, it lacked the charm and character of steam as onlookers along the line must have gazed upon it with utter bewilderment. Baldwin VO 1000 repainted in B&O colors. Numbered #412, it is identical to the #428 that replaced steam on both the Ripley and Spencer Branches in late 1953. Photo courtesy of Kevin Painter. 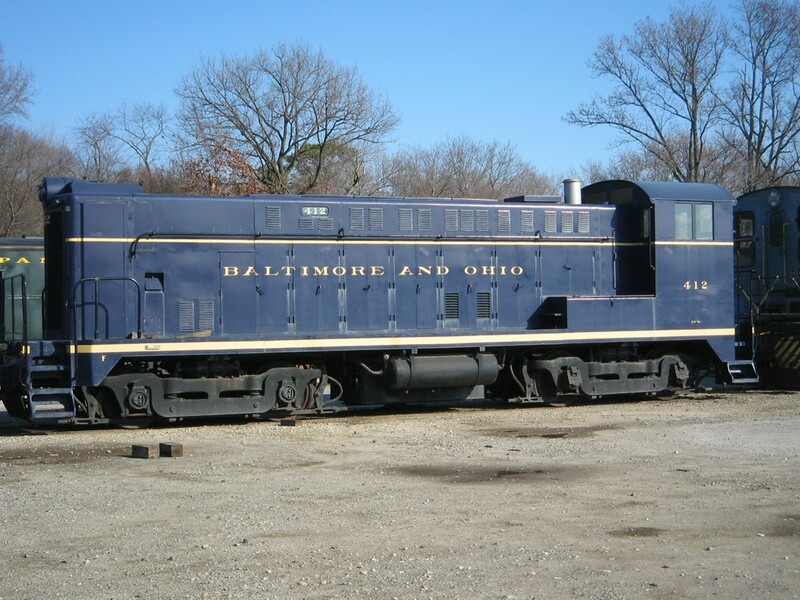 This first diesel locomotive, a Baldwin VO 1000 numbered #428, operated on both the Ripley Branch and the R&SG. There is certainly the possibility that other small diesels were used on both routes as well but without documented accounts or photographs, this is only speculation. In fact, the operations on both lines were interrelated as had been the case for a number of years. Departing Spencer as Train #458 to Ravenswood, it would then run as an extra to Millwood. Changing symbols, Train #962 would then run to Ripley, returned to Millwood as Train #961, and then continued onward to Ravenswood as an extra where it diverged on to the RS&G to Spencer as Train #457. After dieselization, this operational practice remained but for a brief period. In 1954, further changes occurred. 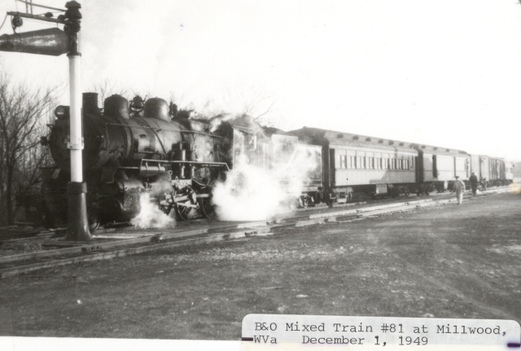 Passenger service on mixed Trains #81 and #82, daily runs between Parkersburg and Kenova was abolished. In the past, Train #81 would briefly detour at Millwood as necessary for a run to Ripley, return to Millwood, then continue to Kenova. Although this run to Ripley ceased a few years earlier, it was symbolic of the rapid decline in train travel that was not only regional but nationwide. 1954 witnessed the end of daily mixed passenger and freight service to Ripley with the service reduced to three days a week. Not only was this change in reaction to the decline in passenger travel but also economic conditions on the B&O that would climax by the end of the decade. By the end of the decade, Ripley trains had disappeared as scheduled timetable runs. The route was handled by extra movements on an as needed basis. Finally, the economic realities of maintaining the Ripley Branch were realized in 1963. There were no more passengers and dwindled shipping did not justify the cost of keeping the line active and the branch was formally abandoned that year. The years of the livestock trains, the Jackson County Fair by train, and the ride to Ripley became but a memory. Train consists on the Ripley Branch were small. Often they ran mixed pulling a coach along with freight. As freight traffic declined, it was not uncommon for the train to be a locomotive and single coach only on a given day. In the halcyon years, there was livestock cars and trains, boxcars for general merchandise, hoppers for heating coal or gravel. Typical consists that varied due to seasonal volumes. Passenger ridership peaked in the early 1900s and then began a long gradual decline that accelerated in the post-World War II years. Throughout the years listening to my dad talk about the trains on the Ripley Branch and mom of those at Millwood, it created a yearning to turn back the hands of time to see the line in operation. Today, when walking along the old right of way and especially at Evans, the feeling is of sadness. A small piece of Americana that has passed on---just as my mother and father ---that is dearly missed. Published timetable from 1952 with Train #961 (Millwood to Ripley) and its returning counterpart, Train #962. Two locations on this timetable, Cushings and Wesley Church, cannot be found on any modern map but will be used as reference points in this works. My thanks to David Sommer for the use of this image. Small towns along the Ohio River are a gateway to the past if for no other reason than they have maintained a charm that harkens back to an earlier time. The heydays of many have long ago passed but the character has remained intact. 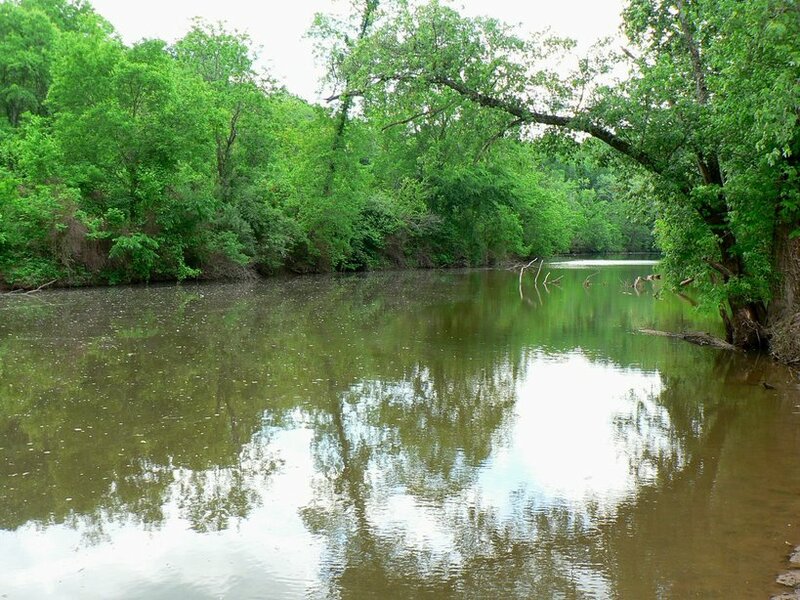 Millwood is no exception and although its primary association was to the river itself, for over a half century it was also the junction of the Ripley & Mill Creek Valley RR with the Ohio River RR of which both would eventually be absorbed into the Baltimore and Ohio network. The junction at Millwood was a wye. That is, there were two connecting tracks that joined the Ohio River line with one connection headed north and the other headed south. Although the majority of traffic from the Ripley Branch moved north, there were instances of trains coming off the Ohio River line from the north running to Ripley then returning to the River line and continuing south. An added benefit of this wye connection and especially in the days of steam is that it enabled a locomotive to be turned around and face the direction from which it came. 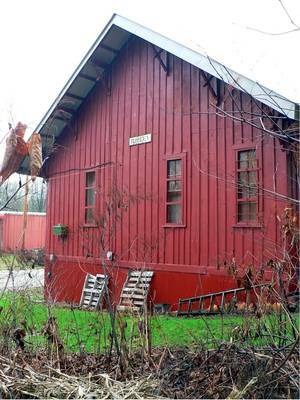 Inside this wye was the Millwood railroad station which faced the Ohio River line being it was the primary route. Unfortunately, not unlike uncounted railroad depots across America, the structure was demolished during the 1960s. By rail, Millwood was the outside world connection to and from the Ripley Branch. Freight and passengers traveled from here to Huntington to the south or to Parkersburg and Wheeling to the north or perhaps a number of towns in between. Train travel in those earlier times was not always a long distance affair. Due to fewer automobiles and poor roads, a trip by rail from Ripley to locations such as Letart or Ravenswood was not uncommon. Millwood was never a major place location for the railroad but it was notable by virtue of being a junction point along with a few small shippers. My mother lived her youth at Millwood and her mother, Harriet Hannum, worked for many years at the post office there well into the 1950s. 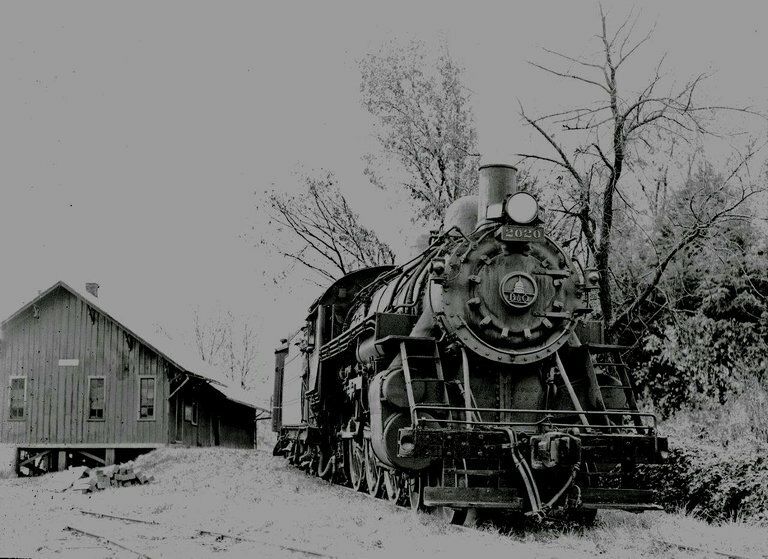 When Mom was not riding a train to Ripley or Wheeling, she was witness to the B&O there on an almost daily basis. One of her accounts--one that I initially omitted--was of the railroad during the Great Depression. The 1930s were the great era of the traveling hobos who rode the trains. They would occasionally stop at the house in Millwood to ask for food before camping along the railroad to await the next train. Sometimes it would be a family drifting from one location to another seeking work or to simply forage to stay alive. The life of the hobo has been glorified to an extant these many years later but they were a product of the hard times in that era. But that was part of everyday life then for her just as contemporary life for us today. Only in hindsight can we truly appreciate the simplicity of what once was as compared to changes henceforth. Life was tough then just as today. Only then, it seemed a bit less complicated. The Millwood of my mother’s youth as the group of photos above suggest is but a memory now. 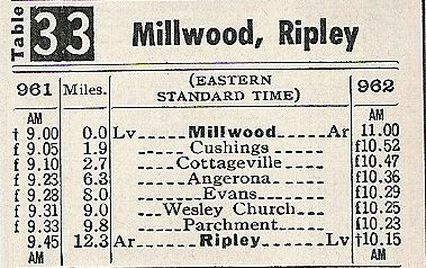 It has been nearly a half century since the last run on the Ripley line or that a passenger train stopped at Millwood. 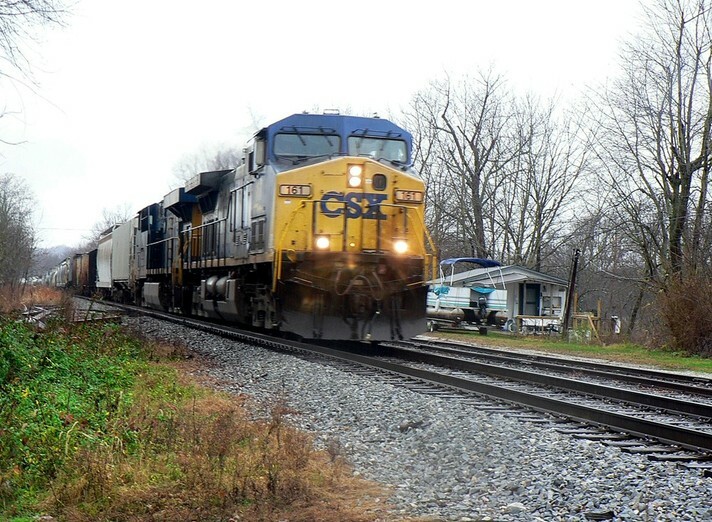 The Ohio River line still lives on, however, in the form of CSX with two scheduled daily freights, local runs, and coal traffic. A Google Earth capsule of the region extending from Millwood to Cottageville. 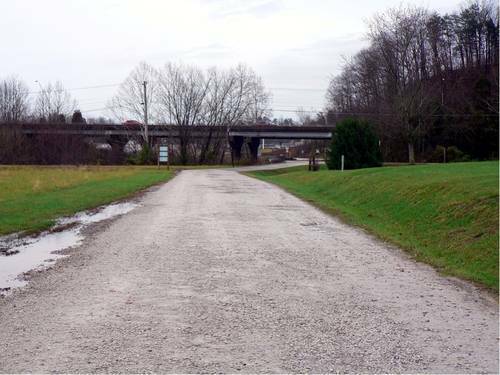 The Ripley Branch junction with the Ohio River line with a wye connection turns to the Mill Creek basin. 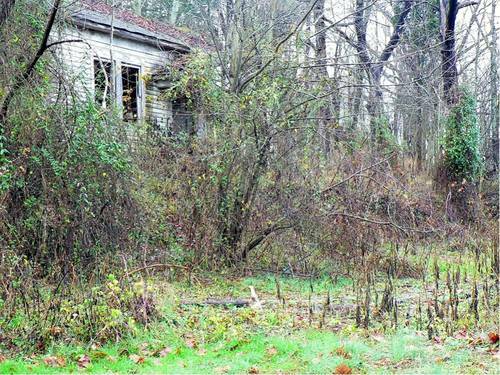 It then passes through the lost location of Cushings and bottomland before entering the community of Cottageville. Cushings is a name that appears on the B&O timetable but the significance of this location appears to have faded into history. I never heard any family references to it nor could I find this place name in any research. This may have been a landowner from the distant past but there is no certainty and it is only opinion in this case. 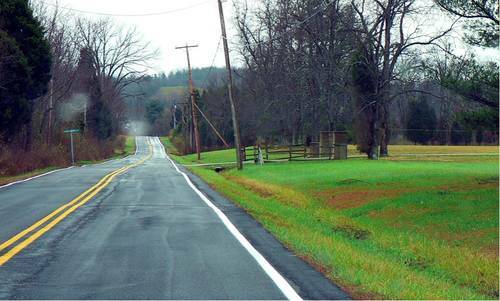 What is fact is that it is an area roughly midway between Millwood and Cottageville where the railroad paralleled Mill Creek before turning across fields to enter Cottageville. The Cottageville of the 21st century has similarities to the one of yesteryear but it has not been untouched by the hands of time. The Falls of Mill Creek are long gone having been submerged by the backwater from the Ohio River created by the lock and dam at Racine. The grist mills are tucked away in the closet of history as is in more relatively recent times, the high school and the B&O Railroad. Another not so distant memory is of the high school that stood just the grade crossing of old US Route 33. Both of my parents as did their siblings attended high school there. By 1950, B&O continued to list a siding still intact at Cottageville although the last rail shipper had long since vanished. 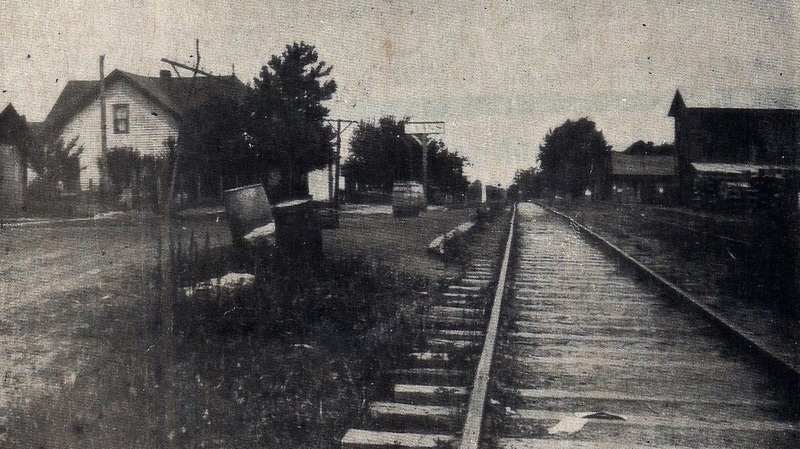 The siding was primarily a team track used by merchants in the area for the delivery of goods. 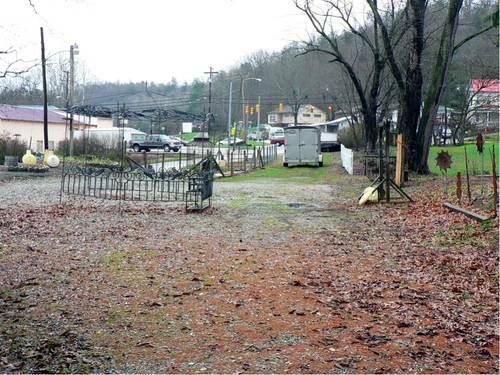 Today, the right of way through Cottageville is heavily choked with growth and areas it could be accessed are directly behind private property. Adding content to this section is on the checklist for a future visit. 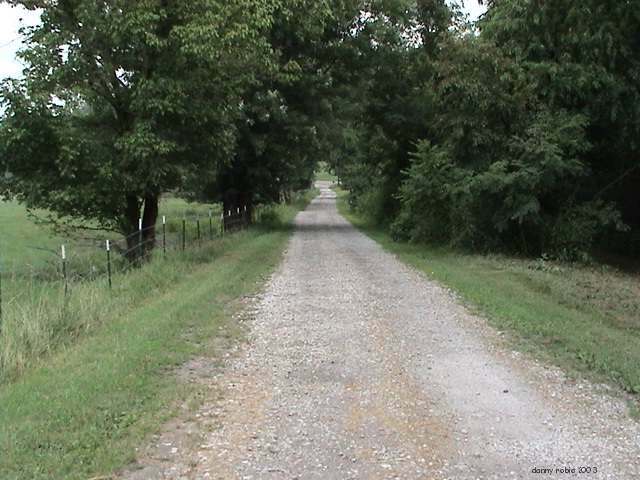 As a post script, there is a folklore account that pertains to this area, Long time area residents may be aware of a ghost story concerning a railroad engineer that lived along the tracks in the vicinity many years ago who loved music. When the track was pulled up, his old house was also destroyed and afterward his ghost was sighted along with the sound of music near Christmas time. The book this account appears in is "Coffin Hollow" and the story is titled "The Mysterious Music" by Ruth Ann Musick first published during the 1970s. Reprinted editions can be still be found if you want hard copy. If you are not interested in locating the book for the entire content, click the below link and scroll down to Tale #12 or click the Google page selection to 29. The complete volume can also be downloaded as an E Book. 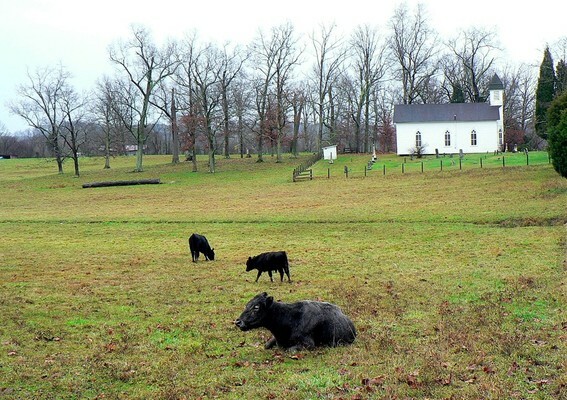 If John House could ride a train through the appropriately named Cow Run a century later he would no doubt still recognize the meadows and farmland of these serene fields. The railroad briefly parted from the contour of Mill Creek by running through this idyllic setting. 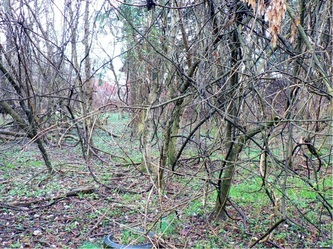 Two trestles were located in this meadow land with crossings of Bar Run and Cow Run respectively. The last time I was at Cow Run was during the mid 1980s and there is a recollection of seeing trestle remnants at the Cow Run crossing. As an update (2016), images are now included of this region between Cottageville and Angerona. This 2007 Google Earth freeze frame focuses on the region between Cottageville and Angerona generally referred as Cow Run. 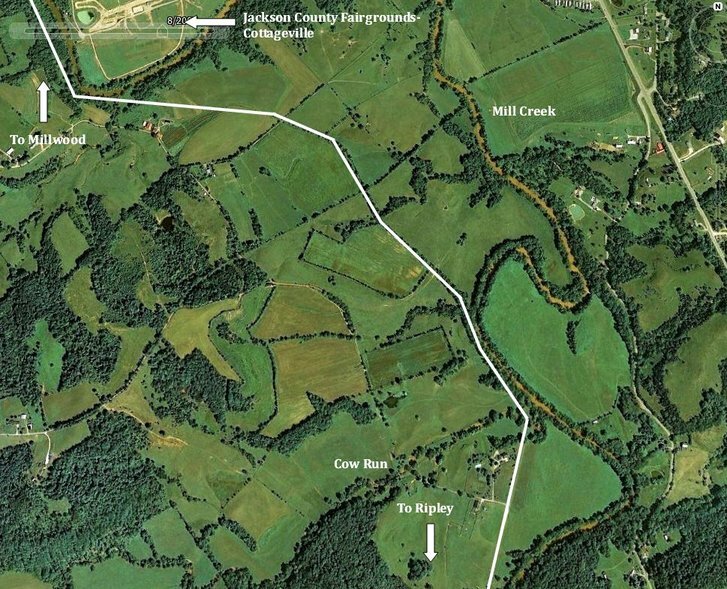 The white line traces the railroad right of way through the serene pastoral meadows and farmland of the area adjacent to Mill Creek. Abandoned right of way through the pastoral setting of Cow Run. 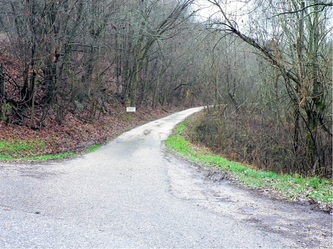 View looks west from the transition of a private road to roadbed. Image courtesy Charles Fox. In Roman mythology, Angerona is the goddess of secrecy and silence. 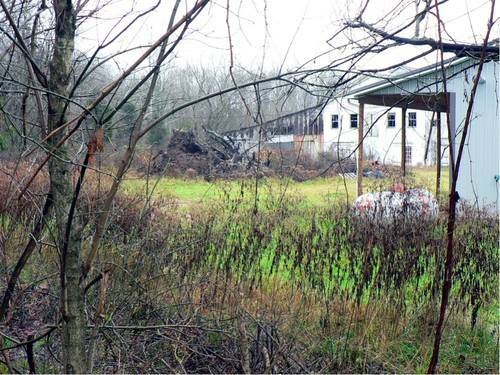 Certainly the secrecy aspect would apply to the little hamlet of Angerona tucked away in the Mill Creek valley between Evans and Cottageville. But when it came to train time at this location near the midway point of the line, quietude would hardly be applicable. From an operational standpoint, Angerona was the toughest obstacle on the line because trains faced a short but steep grade from either direction. Worse yet, the climb on the east side from Evans was on a curve. The 4-6-0 “Ten-Wheeler” steam locomotives would hit this grade and the driving wheels would slip on the climb. The sound of the locomotives toiling up this gradient could be heard for miles. Trains heading for Millwood at least had the advantage of the long straight stretch through Evans to make a run for the hill at the east slope. 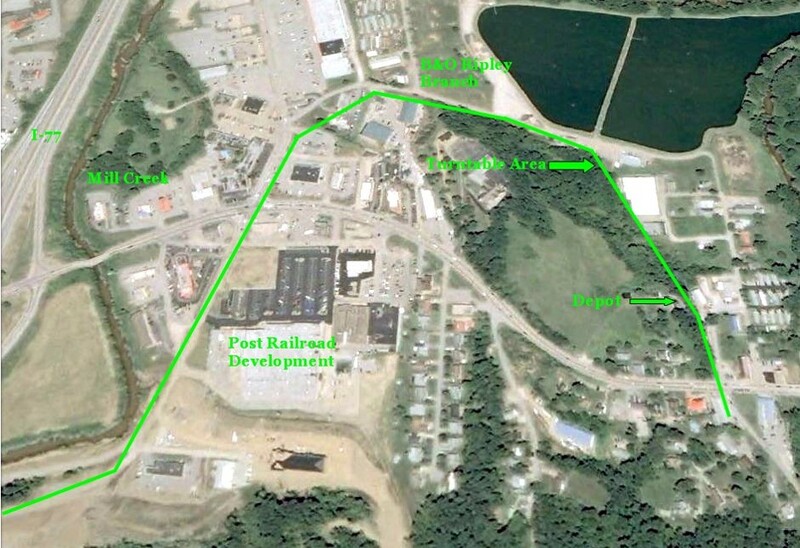 Ripley bound trains would hit the west slope of the grade just to the east of Cow Run. Although trains had a run at the west slope, it was not as long a tangent that existed at Evans. In rare instances, two locomotives with one as a helper on the rear would be needed if the livestock trains departing Ripley warranted it due to the challenge at Angerona Grade. When the diesel locomotive arrived on the scene in the twilight years of the railroad it fought the same battle but with far less drama. 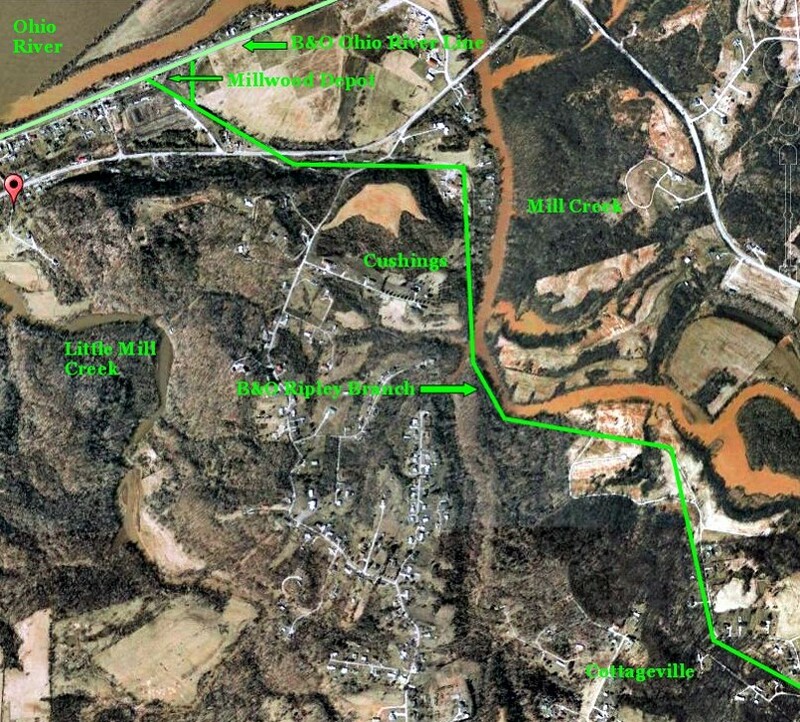 The engineers who surveyed the original route for the Ripley and Mill Creek Valley Railroad could have avoided Angerona Grade altogether but would have placed the line at the mercy of Mill Creek during high water. 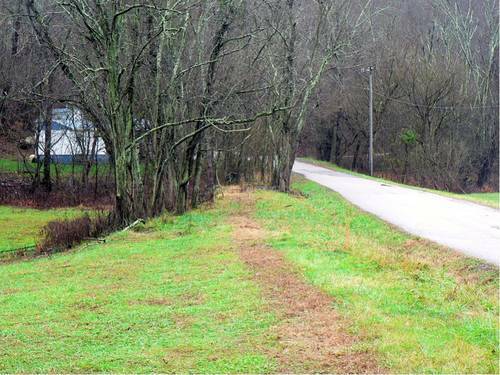 It is interesting to note that along the twelve mile route, the railroad paralleled Mill Creek but was built as far away or high enough from it to avoid rising water. Hence, this is the reason why the track was constructed on the ridge at Angerona with two trestles to span ravines and bottoms. Better to battle the hill rather than rebuild washed out track. My father had a front row seat of the action at Angerona. 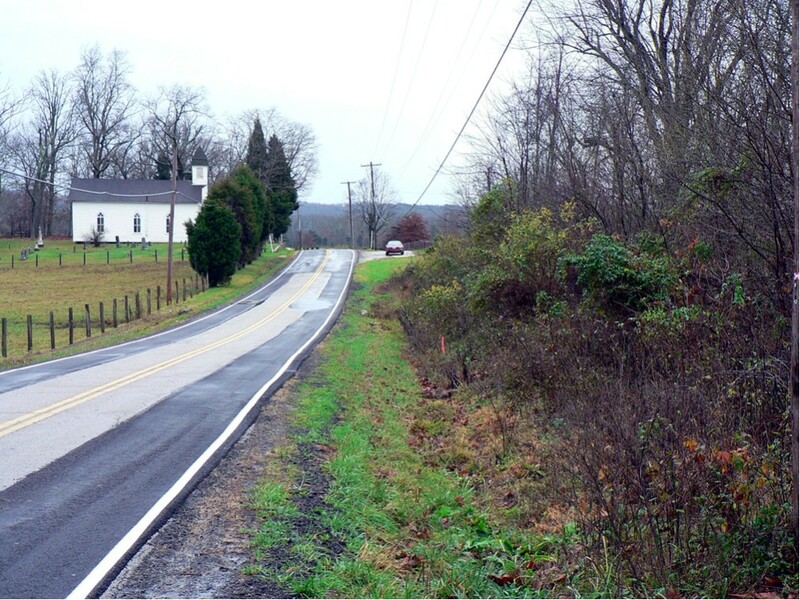 Having lived at Evans near Otterbein Church, he was witness to many a train battling the east slope of the grade. He cited this location as the most vivid of his memories of the Ripley Branch. Walnut Grove school buildings on the slope between Otterbein and the Angerona grade. Undated image but possibly the 1960s during the track removal. Note the stack of used railroad ties. 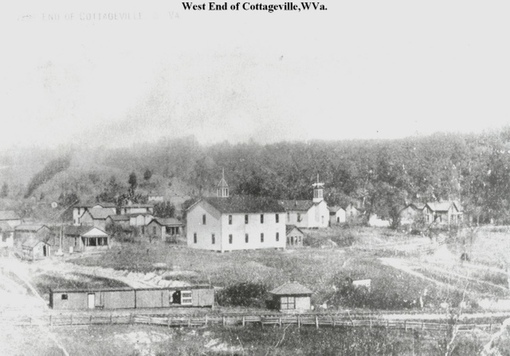 Image courtesy Jackson County Historical Society. Train #962 runs westbound at Evans with a single coach in this 1951 scene. This image is the rarest of the rare. Ripley Branch photos are extremely scarce and this is one of few ever published of a train on the line at a location other than Ripley. Richard J. Cook photo. Evans held the distinction of being located on the straightest stretch of track on the 12.3 mile route. 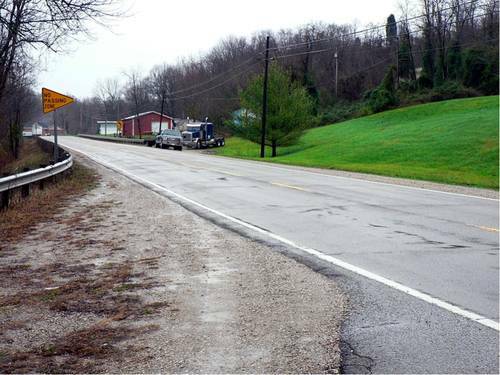 Moving eastward from Otterbein Cemetery near the base of the Angerona climb to the heart of the community at Route 87, the track was an arrow straight tangent that paralleled Evans Road with a trestle crossing included. The railroad was on a small plateau here above the Mill Creek flood plain as it passed through the widest expanse of valley along the creek. Once at Route 87, the track turned, crossed Isaac Run and ran alongside Route 87 before turning east just before the present day Rollins Lake. 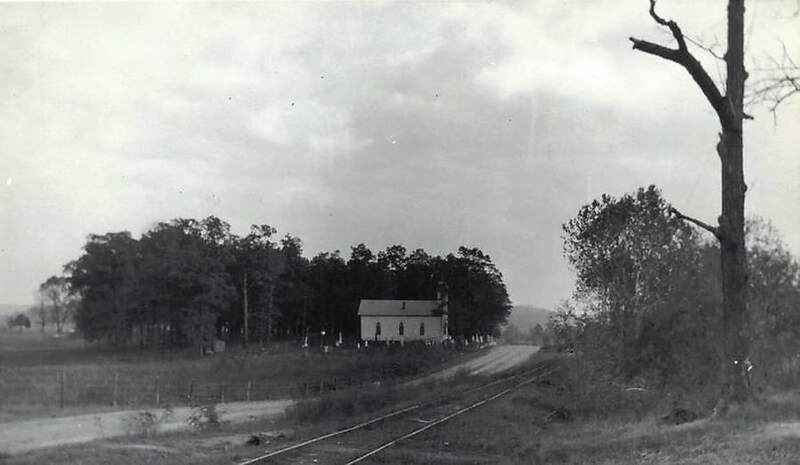 A very rare view of the railroad looking east at Otterbein Church circa 1930s. This scene would have been quite familiar to my father as a young man living at Evans during this time period. 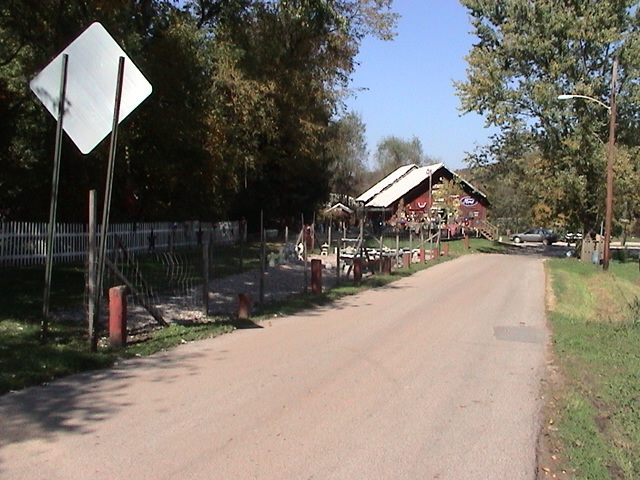 The older section of the cemetery is visible by the church and the Jackson County Fairground is out of view just to the left of the frame. The westbound climb to Angerona grade began at this spot. 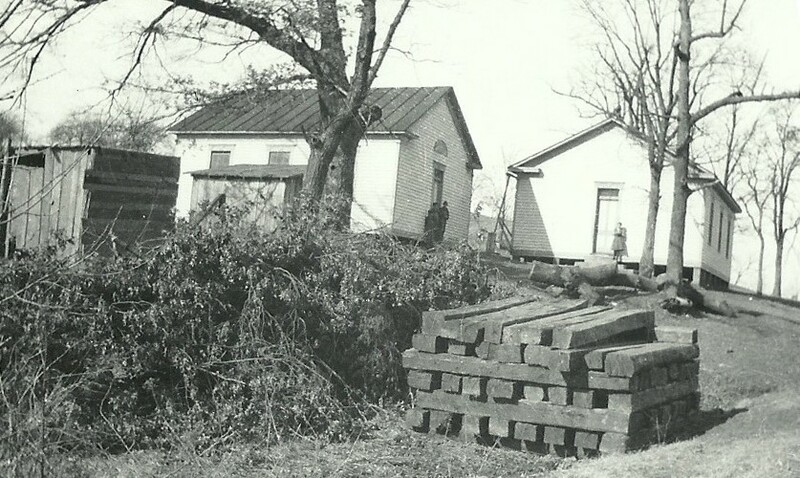 Image courtesy Jackson County Historical Society. Google Earth view of the area extending from Angerona to Wesley Chapel east of Evans. 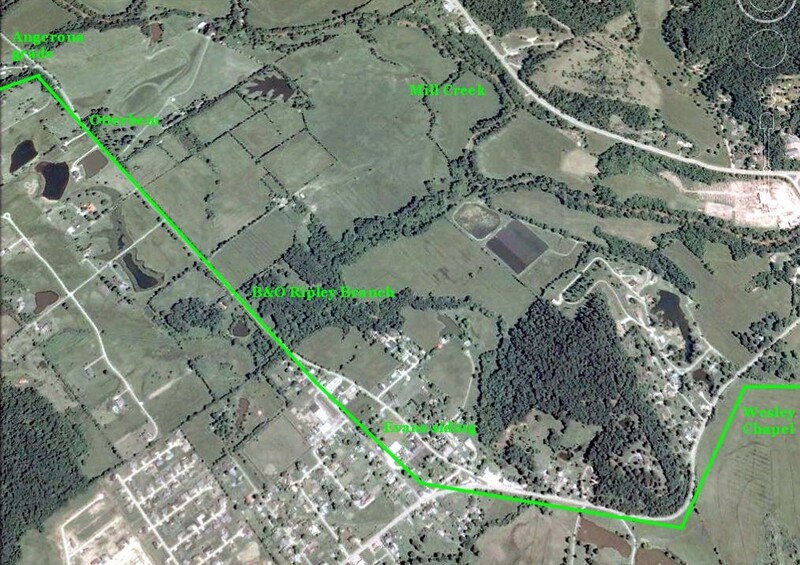 The railroad, highlighted in green, ran on a tangent through Evans passing Otterbein and the old Jackson County Fairgrounds en route. 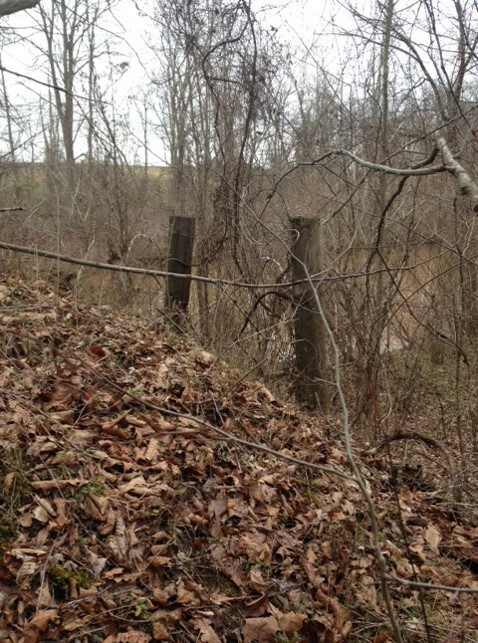 Visible at top left is the outline of the fairground track as the railroad temporarily left the bank of Mill Creek. Like Cottageville, Evans was a flag whistle stop for passengers and occasional freight related to farming and livestock. A siding remained here still of record to B&O by mid-century used for agricultural purposes. B&O timetables into the 1940s listed a flag stop when the Jackson County Fairgrounds was located here--the train would stop at Otterbein Church for passengers attending the fair. The simple life in a most picturesque setting. The Evans of my father's youth was that of fertile farm land and pastures for raising livestock. While this is still in evidence but to a lesser degree today, the area has also witnessed the development of prime real estate in the intervening years. 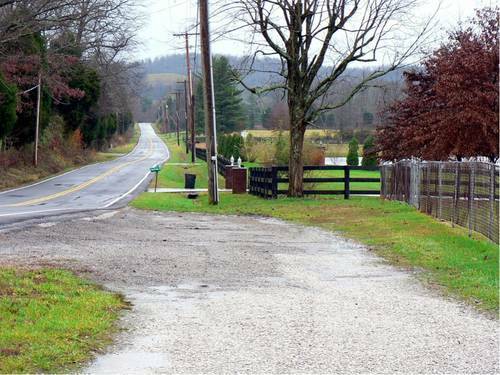 I can recall my dad talking about the old Walnut Grove School that stood just past Otterbein but the passing years have erased the details from my memory. As it is, this community was and still is a nostalgic location in the annals of family history. Today it is hallowed ground as both my parents and paternal grandparents are interred at Otterbein Cemetery. 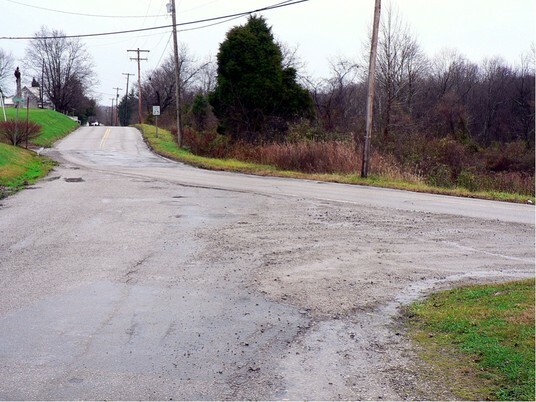 At the intersection of Evans Road and WV Route 87, the roadbed becomes readily visible once again. 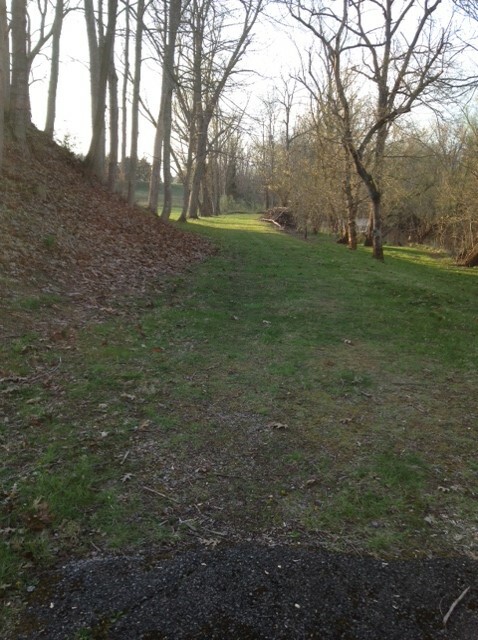 Trestle bents remain in place at Isaacs Run as the roadbed parallels the sweeping curve of the highway. 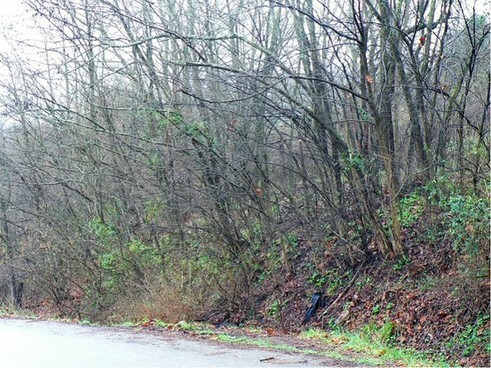 Moving towards Ripley, the outline of the roadbed is visible as it made its way toward the timetable name Wesley Church area. Similar to the previously noted railroad name of Cushings, Wesley Church is another place name on the timetable that appears to have faded into history. During research of the area, I was unable to find any references to it whether it be geographic or archival. As the name suggests, it perhaps was a church which existed during the late 1800s-early 1900s that was demolished, relocated, or renamed. In terms of the railroad, it was the region that existed between Evans and Parchment. As the track turned east from Evans, it crossed meadow land and returned to the low hilly area that paralleled Mill Creek at Parchment. The center of this area is roughly the region bordering present day Rollins Lake. Photos will be added at a future date. 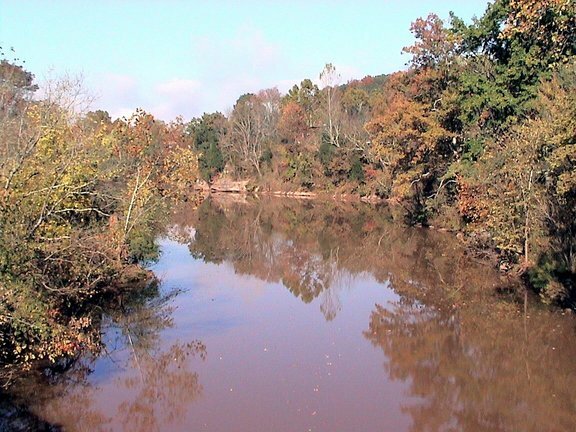 According to the writings of John House, "two miles above Evans, still on the south side, a large creek flows into Mill Creek, which bears the name of Parchment, said to have been derived from an old man of that name, who lived at the mouth of the creek in pioneer days, leaving his name to the stream, which is the only trace of his existence I have been able to discover. The fall of 1896, I crossed from Ripley to Parchment, a few miles from the mouth, the country is rough and hilly, with narrow bottoms, but appears fertile." John's century old description of the Parchment area is still applicable today. Once the railroad left the hamlet of Parchment, the track followed Mill Creek high on a bank until entering the outskirts of Ripley. It then turned left following the path of Mill Creek and swung into the west end of town similar in shape of a fish hook. The railroad and how it entered Ripley in a Google Earth view. The only readable trace of the railroad in Ripley is the depot itself. 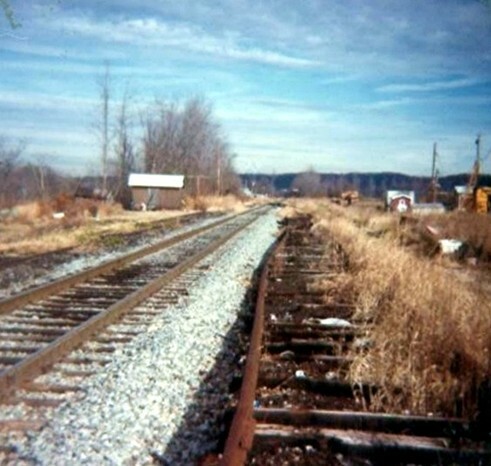 Expansion and development of the town westward with the coming of the Interstate in the late 1960s obliterated the railroad remnants. The town on the banks of Mill Creek grew to be the political center of Jackson County and along with Ravenswood, was a social and commercial hub for the region. 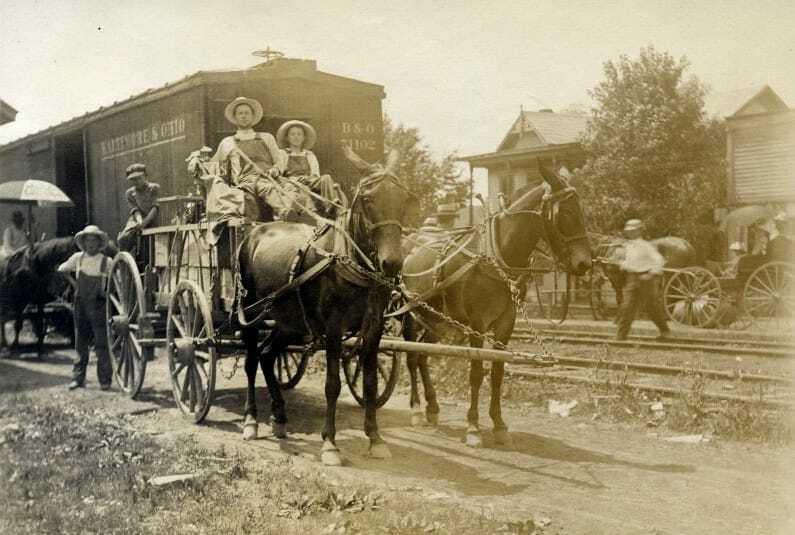 Passengers, agriculture, and livestock were the life blood of the Ripley and Mill Creek Valley Railroad and continued after the B&O took control Ripley was the reason for the existence of the railroad. 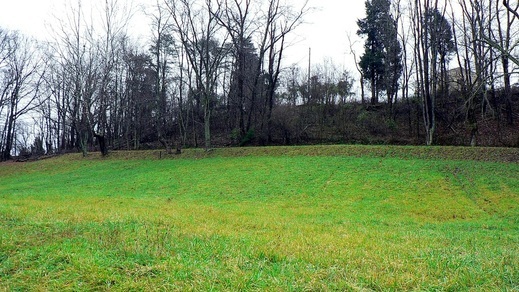 If it were to keep pace and compete with Ravenswood, Spencer, and numerous towns of the Ohio Valley during the late 1800s, the construction of a railroad to connect it was imperative. A modern day equivalent would be location along an Interstate highway. 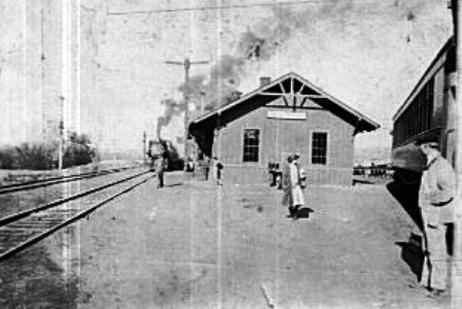 At the end of this arc was the Ripley depot with the track extending shortly past and crossing Main Street before ending as a stub. On this stub just past the depot was a switch that connected to a track that ran on the opposite side of the depot. This enabled the depot to handle both passengers and freight. 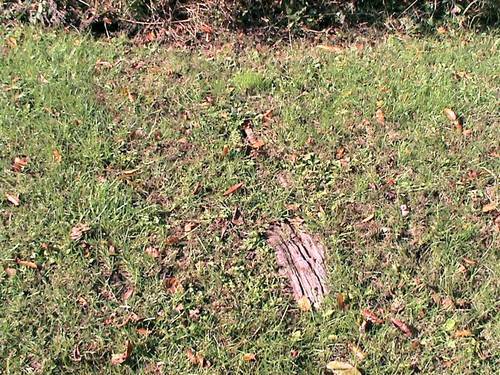 In the area to the west of the structure was a turntable used to turn steam locomotives to face the return to Millwood. 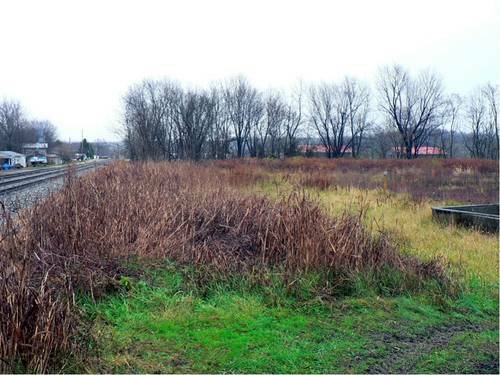 In this vicinity is where the Ripley Livestock Sales would load cattle on railcars and sidings to serve the shippers that used the B&O. In 1948, B&O listed four remaining shippers on the line at Ripley. 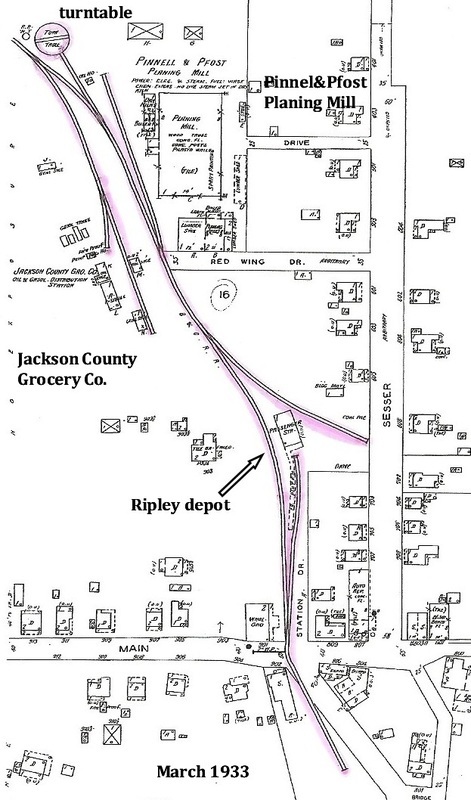 The largest and longest standing was Ripley Livestock Sales serving the region as the hub for the livestock rail market and was served along with S. G. Starcher, and Standard Oil on company owned track. 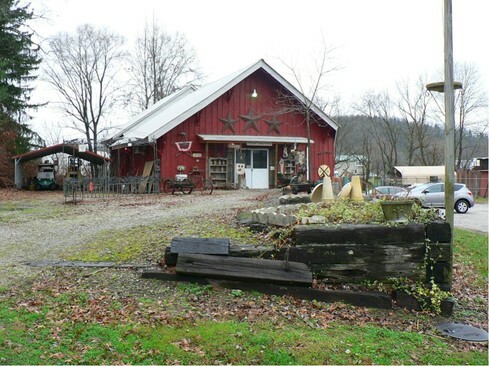 The Jackson County Grocery was served by a spur that it owned. Noteworthy of mention in the B&O listing is the exclusion of the Pinnell and Pfost Planing Mill shown on the Sanborn map above. Perhaps by this date it had changed names, shut down, or ceased shipping by rail during the years since 1933. B&O also recorded in 1948 that Ripley was still a coal, water, and livestock servicing point. My father retained a fondness for Ripley that remained intact for his lifetime. His memories of the railroad here were of the depot, the turntable, and the seasonal livestock trains and loading. He also recalled the tragic death of a young boy who had fallen into the turntable pit and drowned after filling from heavy rains. Time can be cruel to the historian researching the past with Mother Nature and development as the adversaries. 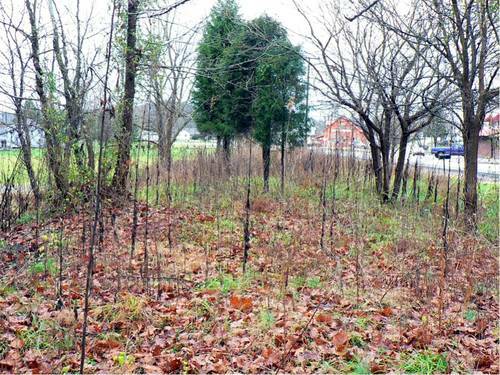 Today, the only remaining trace of the railroad in Ripley is the depot area itself. 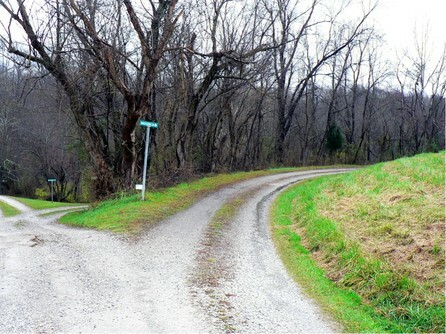 Most of the right of way elsewhere has been lost to commercial development throughout the years. 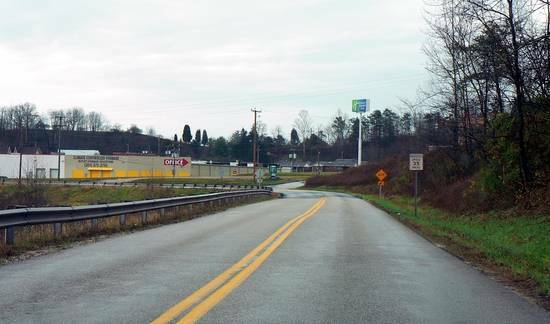 The coming of Interstate 77 forever transformed the region west of the old town center of Ripley. 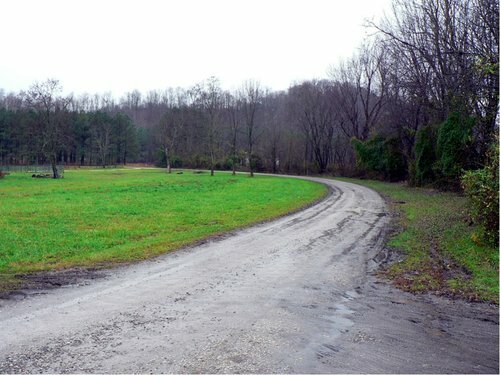 With the addition of Exit 38, commercial development ensued in its wake near what is now the Miller Drive sector and obliterated all traces of the railroad in this area. 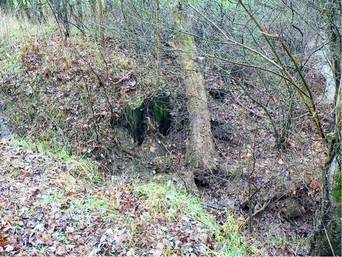 It is only upon reaching the south bank of Mill Creek west of the highway that the right of way can again be traced. This photo was previously and incorrectly identified as the first train in Ripley. Research has determined that it is a July 4th celebration after the turn of the century. Susan King, who gained notoriety photographing the last public hanging at Ripley, is seen capturing this event. 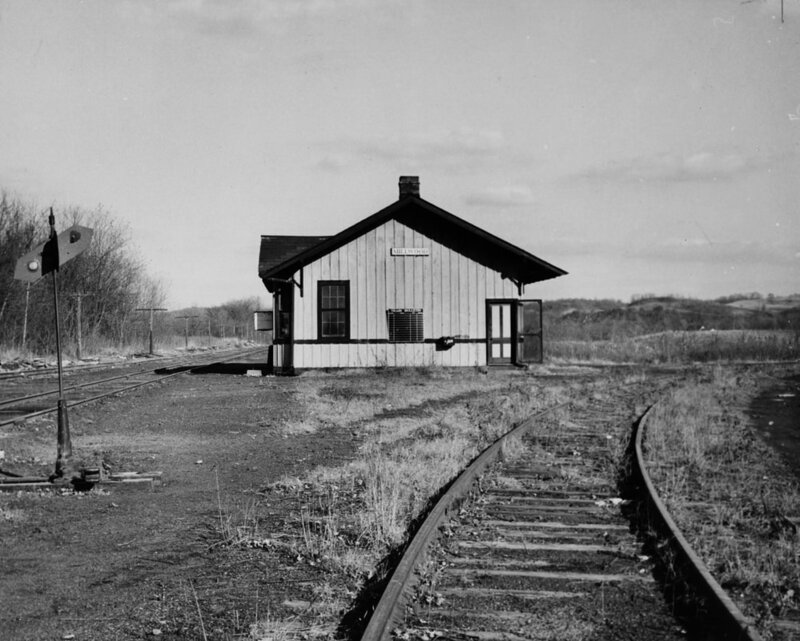 Note the orientation of the railroad depot. It was later repositioned in 1914 and remains the same today. Photo courtesy of Mike McGrew. 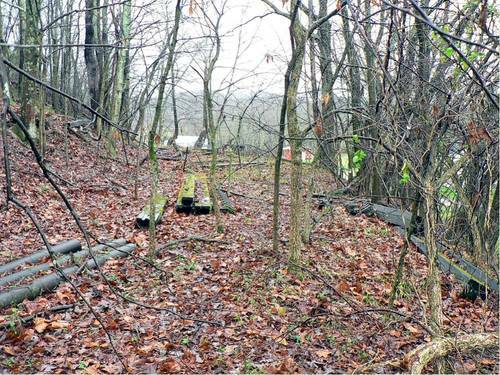 Tracing a railroad that vanished nearly a half a century ago along with any associated history is no small undertaking. This project literally took a considerable amount of leg work in addition to the contributions or resources of the following individuals and groups for who I am most grateful. Without their assistance, this effort would be futile at best. The initial publishing date for this page is 12/17/2011. It has been both humbling and heartwarming the number of comments and inquiries that I have received about this B&O Millwood to Ripley feature. Of the historical pieces on the WVNC Rails page thus far, the number of views and is among the most. With the historical family ties to this piece, there is an extra sense of gratification to read the inquiries and memories of this small branch line railroad that existed many years ago. I know Mom and Dad would be pleased. This section has been added to the page to enable readers to share any memories of the railroad. If any reader wishes to contribute, simply notify me via the Visitor Feedback Page and the comments will be posted verbatim and credited here. If a reader provides any direct data about the railroad and/or operations including images, it will be inserted into the main article per their permission.